Mikhail (Misha) Solok, 20, has not spoken to any family or friends since March 14. 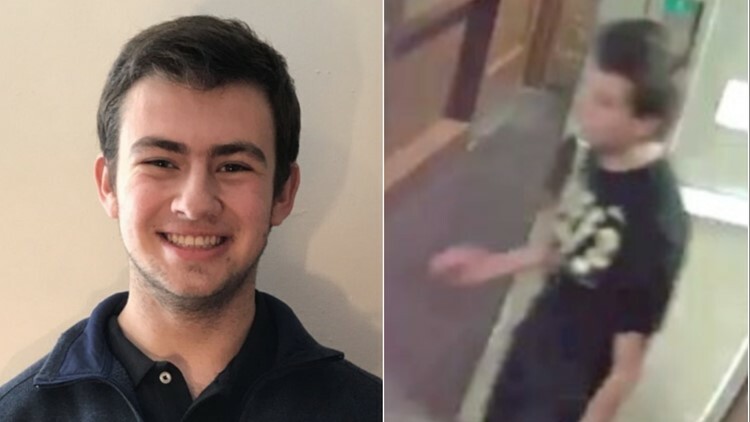 BOULDER, Colo. — The University of Colorado Boulder Police Department has received numerous tips about a student who has been missing for more than a week but have yet to locate him. CU Boulder student Mikhail (Misha) Solok has not spoken to his family or friends since Thursday, March 14, according to CU Boulder Police. Solok, 20, lives in the Stearns West dormitory at CU's Williams Village. He was last seen wearing a black Buffs T-shirt with gold letters and black pants, CU Boulder police said Friday morning. Police said if you know where he is, please call, or have him call, CUPD at 303-492-6666 so they can make sure he's safe.